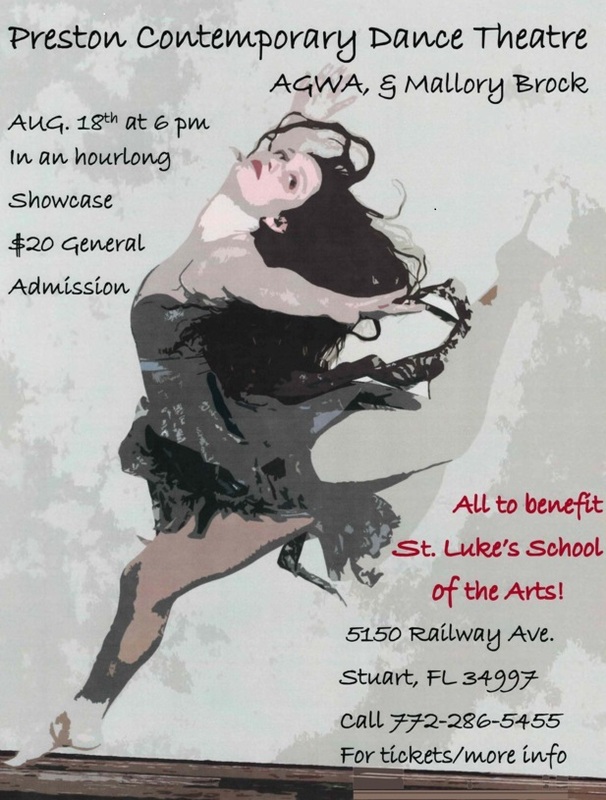 An hour-long performance featuring members of Preston Contemporary Dance Theatre, AGWA dance company and Mallory Brooke will be Saturday, Aug. 18 at 6 p.m., at St. Luke’s Episcopal Church, 5150 S.E. Railway Avenue, Cove Road at Dixie Highway, Port Salerno. Tickets: $20 per person. Benefits St. Luke’s School of the Arts. The production is being put together by Anna Preston, PCDT artistic director and director of the past four School of the Arts performance camps.